My father is a smoker. I grew up smoking secondary smoke.My mom tried her best to get my father to quit. Secondary smoke dangers were yet not known. But what was known was that it caused cancer! No amount of pleading with my dad helped.He wouldn’t give up smoking! My father said everyone would die anyway, so to blame smoking for deaths, is not logical. I was an impossible teenager. My why’s needed answers. Why didn’t my father give up smoking? Did he not care enough for his children’s? Was he not scared of the Big C?Reader’s Digest magazine was a regular at our home.That magazine had amazing science backed articles. One article about addiction that I still remember, said,”addiction, has a strong genetic component”. Are you a parent who is addicted to alcohol or tobacco in any form?Beware! There’s every chance, that your child may be susceptible to substance abuse.For this group, it’s not about trying things once!Sometimes once is enough, to trap your brain. It’s like trying out death. 7,000 harmful chemicals in tobacco. Nicotine: most notorious!Nicotine increases Dopamine and stimulates reward pathway. It’s the brain’s way to makes you feel great when you smoke. A leader in preventable deaths. 6 million deaths each year worldwide. India :1 million tobacco deaths per year(WHO). Oral and oropharyngeal cancer: Most common cancer in Indians. Lung cancer: commonest cancer worldwide. Other cancers: mouth, pharynx, larynx, esophagus, stomach, pancreas, cervix, kidney, bladder, and acute myeloid leukemia. 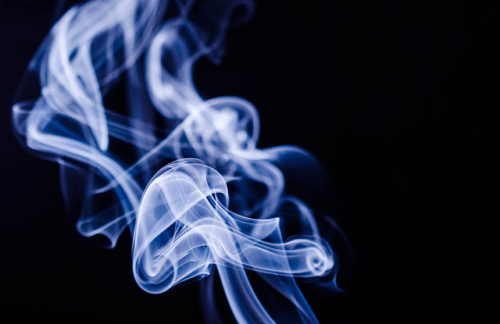 Environmental tobacco smoke: indoor air pollution. Smoking in pregnancy : Do you really want to do this to your unborn child? Higher risk of substance abuse. What if you stopped smoking now? Promise yourself some extravagant gift once you are successful. I believe everyone has a choice. A choice to live a healthy life. But people who don’t smoke? Don’t children have a right, to clean air? Choose wisely.Life is beautiful death, is inevitable. Sometimes the best thing to say is No Tobacco! My husband quit 7 years back, and counting ! The statistics make it so obvious as do all the media coverage or even a cursory check of the facts. Yet people make the same mistake over and over. Good article. My parents were both chain-smokers when I was growing up. Yet I can’t stand the smell of cigarettes. I’m very grateful! It was 1965, and it was my mother, but, as a youngster, I couldn’t understand why my Mom smoked so much. She would leave a cigarette burning in one room and light another, it was so bad. Smoking killed her. Tobacco has killed so many people. And now there’s a generation of vapers (e-cigarette users) thinking it’s harmless. It isn’t. I’m heartbroken that, 51 years after my mother’s death, we still have to publish posts like this. I have not smoked ever so far. I hate the smokers. I can’t even share a room with a smoker or tobacco chewer. I often say if I am offered the post of PM for one hour, first thing I will do is ‘ban the tobacco,cigarette,bidi’. Very nice and eye opening post. Thank you Arjun.I hope everyone realizes the harmful effect of the tobacco! I detest smoking. I don’t even like people who smoke. They always smell of tobacco and that puts me off. I don’t understand what joy people get by smoking. It doesn’t even taste nice. In college i had smoked here and there because everyone smoked include girls. But I hated it – it left such bad aftertaste. I knew of girls in college who smoked to stay slim! I guess tobacco affects people mentality too! Smoking is deadly and injurious to health! I bet, all the smokers would be aware of it but I don’t understand why they still smoke? You are so right Ana. Even I am shocked by what people suffer due to tobacco addiction.Thanks for reading. Smoking is such a visible habit. I grew up with smoking parents as well and vowed never to smoke. I’m happy it’s more taboo now. Yes Sondra its good that its no longer cool.Atleast maybe the social pressure will prevent some people from smoking. I smoked in my teens and twenties. I quit when I met my husband. I stress to my kids that its a bad habit. I would never want them to smoke. Milena you are obviously a very strong woman.It’s good that you quit. That’s inspiring. I would never want my kids to smoke. I smoked when I was in high school and my early twenties. Now I realize how disgusting it is and stress that to my children. It really is hard to avoid people who smoke..Family members, friends, public places. Everywhere you go you smell smoke. I definitely agree with you and I hope you don’t have to deal with that anymore. You are absolutely right Jane.Cigarette smoke is one of the reasons for indoor air pollution. It is amazing how quickly the body can heal from quitting smoking. My dad quit cold turkey after decades of smoking after he had a heart attack. Unfortunately it sometimes takes catastrophes to scare people enough to quit. I am so glad he did though. Amy that’s the truth. Within hours your body starts repairing itself .Within 5 years the risks become minimal .If only we learned from other people’s mistakes then many people could be saved.Thanks for sharing your story. I smoked when I was younger but it was to “fit in” with my friends at the time. So not cool. It’s gross and the things that they put into cigarettes is beyond healthy which I would rather be. Kimberly you are blessed that you were able to quit .Being cool made a lot of people start smoking. That was the advertising menace. Thanks for sharing your story. No Smoking for the health reason.. Thanks for the awareness post.. I hate inhaling 2nd hand smokes from smokers in public area.. This a great and informative post on smoking and the affects it cause on others with second hand smoking as well. I have asthma and even though I have never smoked I could not imagine having more complications on top of my asthma caused by smoking. Great post!!! It’s a good thing you don’t smoke.Shockingly my father in law had asthma but still ,was a chronic smoker. Avoiding pollution and allergens can help you tremendously.Thanks for reading.I appreciate it. I’m not a smoker, but grew up with second hand smoke as a child. It was just normal back then. Did you dad ever quit? The harm it does is so scary. No he hasn’t quit.The sad part is when you have to watch people become sicker and sicker with each puff. I take care to avoid second hand smoke nowadays. I also hated smoking… it never attracted me to do so and i’m hating that my father and sister are smokers. Even all the warning signs they prefer to kill themselves 🙁 . Great post! That’s the sad part of being a smoker.The addiction actually distorts your brain.A very strong motivation is needed to give it up.It’s great that you have chosen health over smoking.Glad you liked this. These are important points. Thankfully, the public is becoming more aware of the dangers of smoking, but the sad thing is that some kids are still picking it up. You are absolutely right Jessica.The younger generation can be horribly affected by addiction to tobacco .The younger they are worse is the effect .Thanks for reading. I didn’t know that oral cancer was #1 cancer in India. That is very alarming. great post, now that the effects of smoking is very well known, it’s imperative to provide all necessary help to those who can’t quit! That’s a very proactive approach. Unfortunately few are as sensible. Couldn’t agree more with you on these points. Can’t stand smoking. My dad used to smoke, so as a little kid I was around second hand smoke quite a bit. After the DARE program coming through our school as a kid, I went home and told dad he needs to stop…thankfully he stopped cold turkey. That’s supposed to be the best way to stop smoking!Your Dad obviously was very strong mentally.Thanks for sharing your story. I smoked when I was younger but it was to “look cool” which of course now being a bit older I realize it was not. When my grandma had her heart attack there was one good thing that came out of that and it was she quit smoking and cold turkey. I know that people are allowed to make up their own minds and do as they please but smoking cigarettes is just gross, stinky and unhealthy. Very brave of ypu to share why you smoked.Most start young because of the cool quotient .It’s only the very strong who want to and can give up.It’s wonderful that you quit smoking. Yes there’s support for people who want to quit. But most important is they must want it too! Great post. This is definitely a topic that needs to be discussed more often especially since there are a lot of people affected by passive smoking. Yes that’s the major problem. Smokers are responsible for indoor air pollution to a large extent.And the passive smokers suffer ! Very informative post. I am def going to share it with many people I know that I have been trying to get to stop! Thanks that would go a long way in helping. Smoking is the WORST!!! I’ve never smoked and never will and will make it my mission to keep my son from ever smoking. That’s great.Increasing awareness among the younger generation through graphic warnings can actually prevent many from even experiments. I agree it is an addiction that is largely overlooked as it is legal pretty much everywhere. Much more is being learned about it now. When I was a kid, we never even heard of third hand smoke. Yes new research is showing light into the problems and solutions quite interestingly. I absolutely loathe cigarette smoke. It’s literally pumping poison into your body. All for nothing! 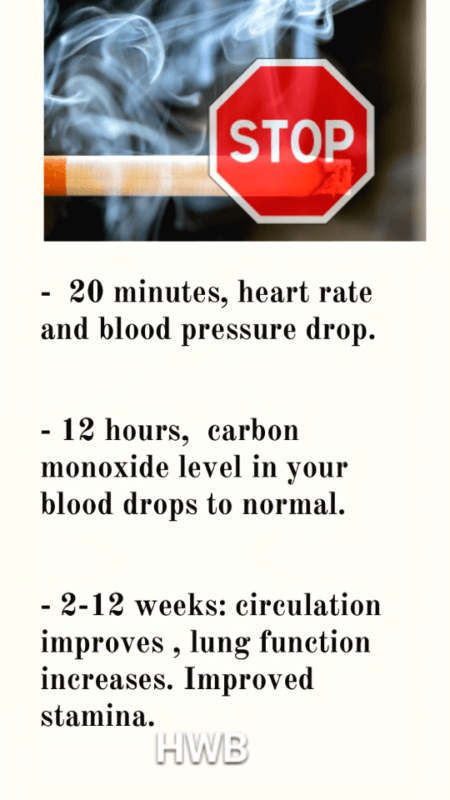 These look great tips to quit smoking. I don’t smoke but will share with my friends who want to quit smoking! Thanks for sharing!! Wow!!! This is definitely a lot to think about. Thankfully my parents weren’t addicted to anything. My hubby a parents smoked though. Very powerful post on why you should NOT smoke! Thanks for sharing your own experience 🙂 Great share! Thank you for reading.Yes ,sharing own experience is difficult, but that’s what makes blogging so unique.The personal perspective. Interesting post! I’m not a smoker. I agree with you that we all have a choice to choose a healthy living!